I hope that you had a great week. Mine was good for the most part. Are you excited for the weekend? Do you have any plans? I don't have any plans for the weekend but you never know what could happen right? Lol. Well seeing as I'm trying to get back into the swing of this on my faithful ol' blog, I figured I would get back into doing some nail art. Then that prompted me to get back into doing the WNAC challenges. Without further ado let's take a look at the first prompt for the month! Before we get started let's take a look at the prompts for this month. To be honest I was kind of hesitant about doing this month's prompt because of the themes especially seeing as I can't draw to save my life. So hopefully I have some stamping plates that will be able to help me out if not you'll be seeing some freehand nail art lol. Thankfully for the first prompt, I was able to go through the many stamping plates that I have and was able to come across this Lily image. 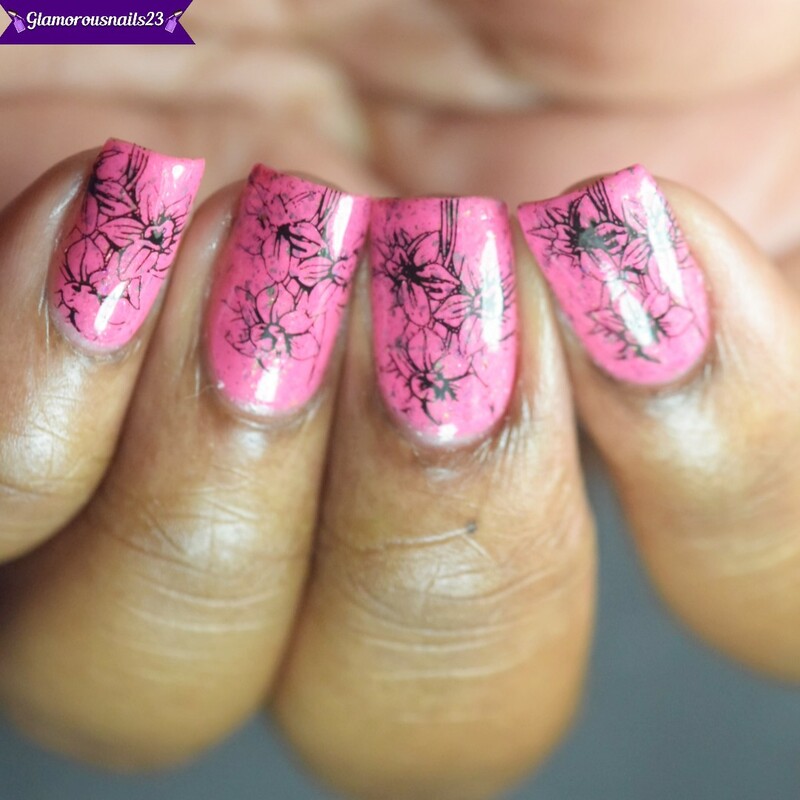 Now I will say it is not my best stamping and for whatever reason, the image just didn't want to pick up nicely. 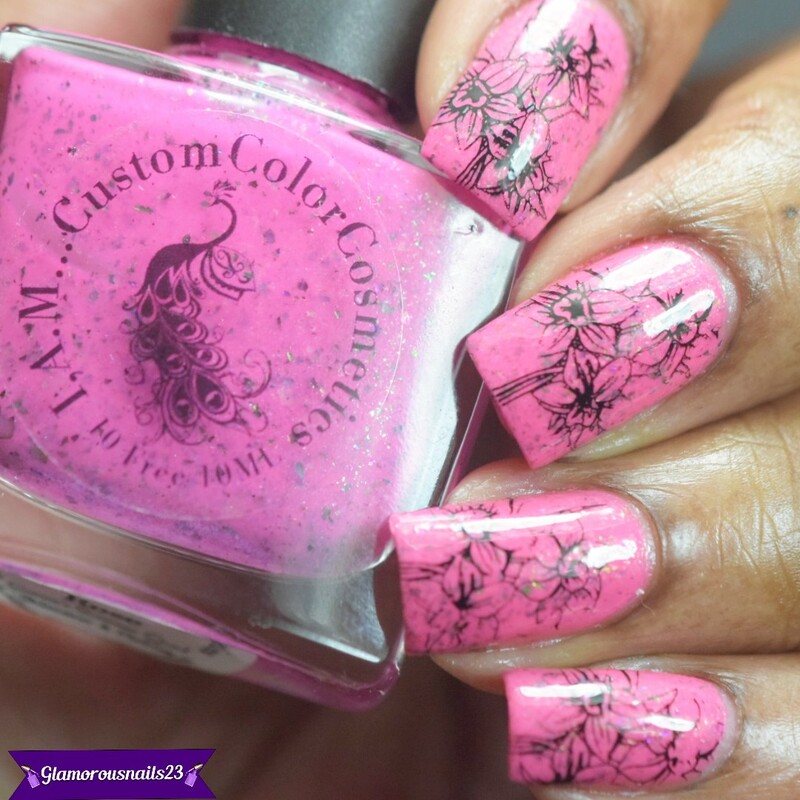 No matter which stamping polish and or stamper that I used. Eventually, I got fed up and figured that this was better than nothing lol. Since the base has so much going on I didn't want to take away from it and kept the stamping simple. 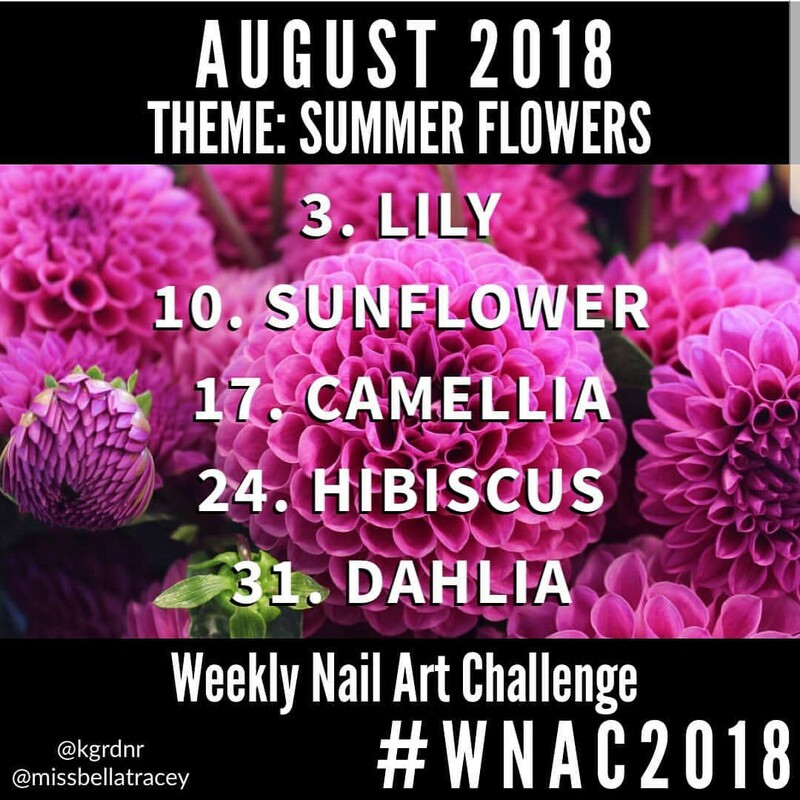 Will you be participating in any nail art challenges this month?